The Canon imageCLASS LBP151dw is an easy to use, wireless, single function laser printer that is an ideal solution for a small or home office environment. The LBP251dw delivers exceptional black and white laser output at speeds of up to 28 pages-per-minute, with your first print in your hands in 8 seconds or less. This device supports PCL 6 and UFR II LT printer languages, allowing versatility for your printing needs. 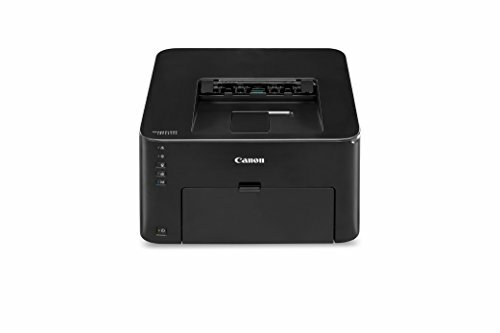 The Canon imageCLASS LBP251dw is eco friendly, only using approximately 1.6 watts of energy in wireless, energy saving mode, and is set to automatic duplexing right out of the box which helps you save on energy costs, paper costs and on paper. The device offers paper handling of up to 250 sheets in a front loading cassette and 1 sheet in the multipurpose tray. Wireless connectivity allows you to print from almost anywhere in your home or office. You can "Print on the Go" with various mobile features using your compatible mobile device such as Mopria Print Service and Google Cloud Print. The Canon PRINT Business app allows users to print to the LBP151dw from compatible iOS or Android devices. The single cartridge system combines the toner and drum into 1 unit, making cartridge replacement simple. This printer uses Canon Genuine Toner, Cartridge 137 Black. Print professional quality documents fast, wirelessly and effortlessly with a space-saving, compact laser printer. Documents are at your fingertips with a quick first print time of just 8 seconds or less.